U.S. water ski athlete Freddy Krueger (Winter Garden, Fla.) won the 2019 Chile Night Jump on Saturday at Lago Los Morros in San Bernardo, Chile, defeating fellow U.S. athlete Taylor Garcia (Winter Garden, Fla.) in a jump off for the title. After both athletes tied with a distance of 209 feet (63.8 meters) in the finals, Krueger won the subsequent tie-breaker, soaring 216 feet to Garcia’s 206 feet. The U.S. team selection Qualifications & Procedures and Independent Skier “Notification of Interest” Requirements for the 2019 Senior Pan American Championships are now available to view and download. The four-day, world-record capability event will be held Oct. 23-26 in Bujama, Peru. 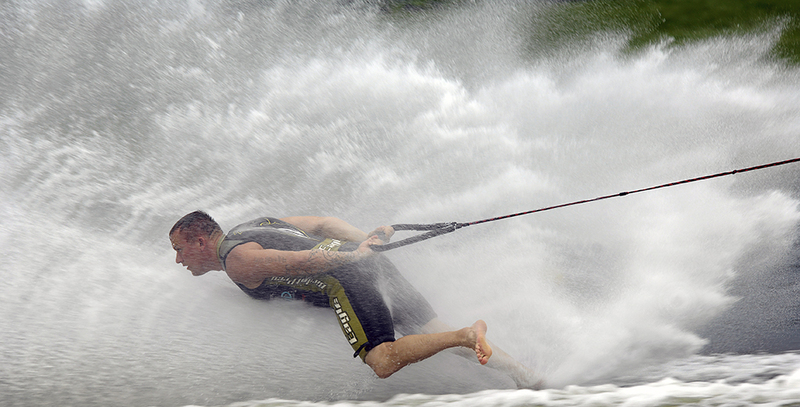 The American Water Ski Association will conduct an online judges and scorers clinic on May 4. The clinic will be hosted by Robert Harris and conducted via GoToMeeting.com. If interested in participating, please contact Robert Harris at rbtharris@yahoo.com. This will be the only online clinic (outside of the the Continuing Education modules) available until the fall. Attention all American Water Ski Association jump sites and tech controllers, the $700 USB SplashEye Mobile Jump Program has been reviewed by the AWSA Technical Committee and is now available from SplashEye – http://www.splasheye.com/awsa. USA Water Ski & Wake Sports has selected Anna Gay (Winter Garden, Fla.) as its Female Athlete of the Month and Freddy Krueger (Winter Garden, Fla.) as its Male Athlete of the Month for March. Gay and Krueger are now eligible for the United States Olympic Committee’s Best of March Team USA Awards, presented by Dow. The International Activities Committee (IAC) will be selecting three judges and one scorer for the 2019 Can Am Challenge, which is to be held Aug. 30-Sept. 1, at Shalom Park Water Ski Site in Edmonton, Alberta, Canada. The IAC follows a progressive selection process for choosing officials. An official needs to participate in at least one event in each category before putting in for events in the next category. The American Water Ski Association's 2019 Rule Book (PDF) and Summary of Rule Changes (PDF) are now available to view and download. These rules may be amended at any time by the AWSA board of directors, on its own initiative or at the recommendation of the AWSA Rules Committee. After amendment by the board, the amended rules shall become effective immediately, unless a different date is specified. A notice of the amendment shall be promptly posted on the official AWSA website.